We have reached that point in summer where it’s really not enjoyable to be outside unless you’re in the water. Sometimes not even then. If you too are trying to beat the heat with your family at the pool, I’m want to share with you some fun activities you can enjoy together while swimming. 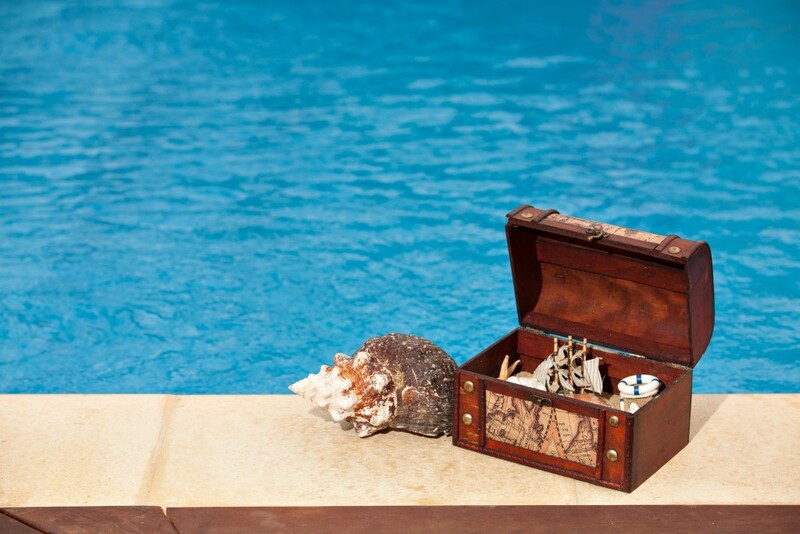 Get some coins or other treasures that sink and throw them in the bottom of the pool. 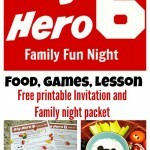 Let your kids kids dive in and collect as many as they can. Just make sure the pool cleaner is turned off. As a child I can remember doing this with my family at a family reunion. We used dollar coins and quarters and were able to keep what we collected. It was definitely a fun and memorable experience. It’s helpful to add plastic cups with each child’s name written on them placed around the pool. That way you can stash our coins as you collect them. 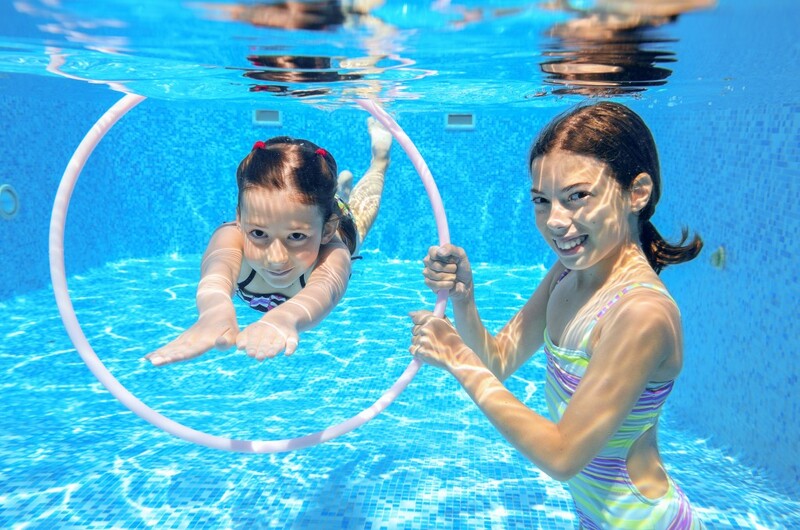 Use hula hoops, pool noodles and other pool toys to set up a pool relay course for your family. Spilt into teams and see which team can make it through all the obstacles first. If you would rather not race against each other, race against the clock instead, and see how quickly you can get through the course. Then, try improving your time each time you complete the course again. Get some float boats, sand buckets and a timer. When the game starts paddle over near your opponents boats and use your bucket to try and fill their boat with water. You can also uses your bucket to scoop water out of your own boat. The winner is the person with the least amount of water in their boat at the end of the time frame. If your boats are big enough this could be fun to do in teams of two. Just make sure everyone can swim well or is wearing a life vest in case you end up out of your boat. Every Day Dishes & DIY shows how to create a fun sponge ball toss game using frisbees and a waterfall. After creating the game, you can take turns throwing the sponge balls at the frisbee targets and see who will get the highest score. It looks like a blast. If your kids are a little older, teaching them some survival water skills is a great idea. This video teaches you how to uses your pants to make a floatation device in case of an emergency. Other skills you may want to practice are treading water and floating. 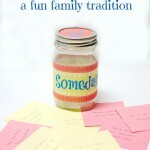 Try doing a search online and choosing some age appropriate skills you think would be helpful to teach your children. 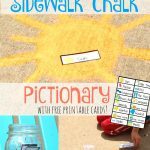 Toddle Approved shares how to easily make a DIY pool scrabble game using sponges and sharpie marker. Once you make a set, you can throw the letters in the pool, and then have family members race to collect the letters and spell words. Toddler Approved also offers suggestions to make the game age appropriate for children who aren’t spelling yet. 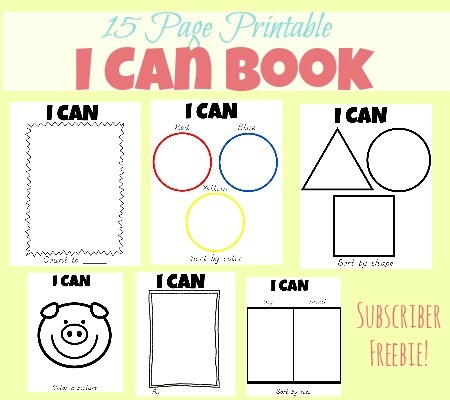 This looks like a super fun way not only to play together but to learn as well. 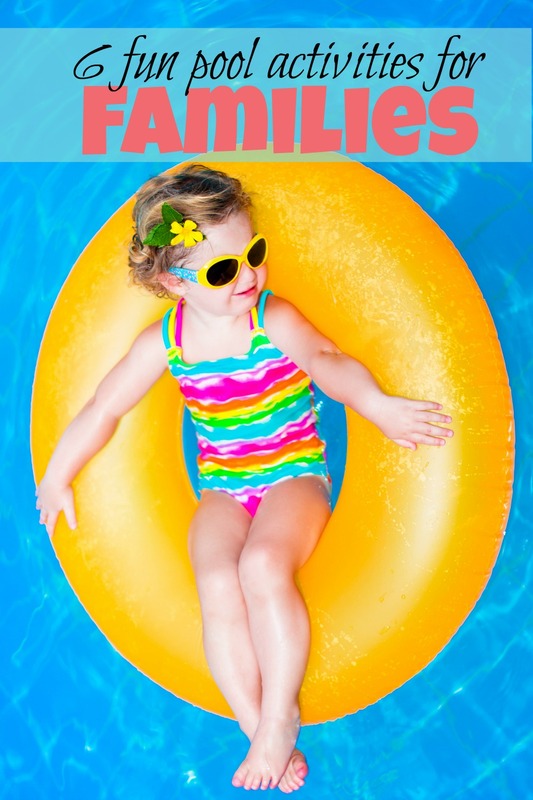 I hope that you will be able to use some of these fun pool activities with your family this summer. Enjoy! 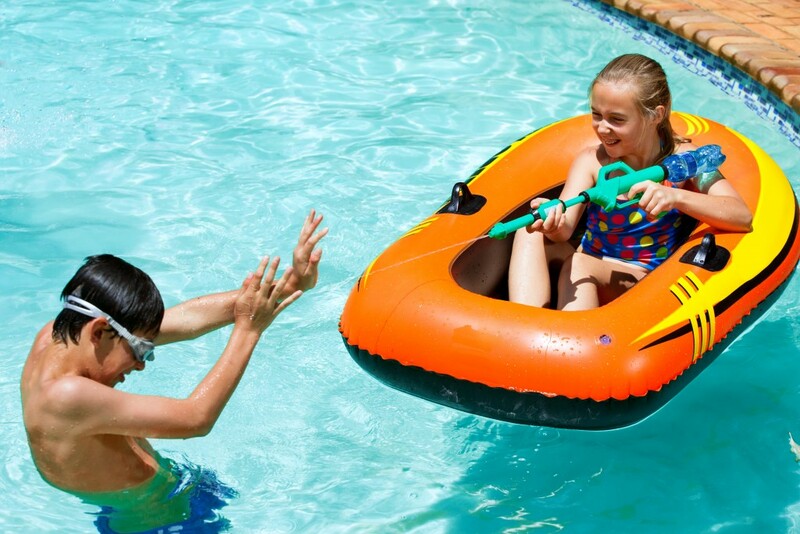 What’s your families favorite pool activity? I would love to hear. Please comment and share!